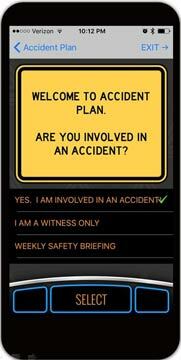 Every accident requires active participation from the driver. You cannot take them out of the situation. 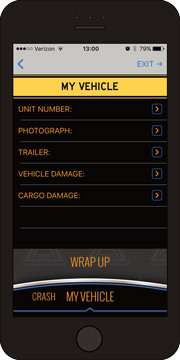 But you can prepare them, and your response team, with the training and tools to manage the incident. The driver taps the triangle icon to open the app. 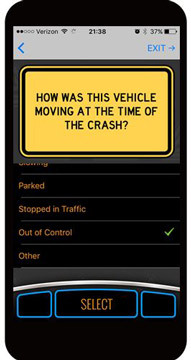 If they indicate they have been in an accident, notifications are automatically and immediately sent to key personnel. Assessing the severity of the crash and the potential need for emergency services. Cooperating with authorities, but not discussing fault. Taking appropriate photographs and gathering crucial, perishable data. 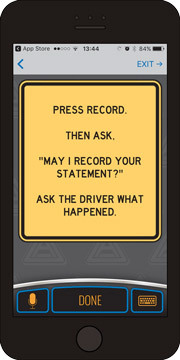 Directions to the driver are modeled after the caution sign. Inputs from the driver resemble an automotive control surface. Only three gestures are required: scroll, swipe, and tap. 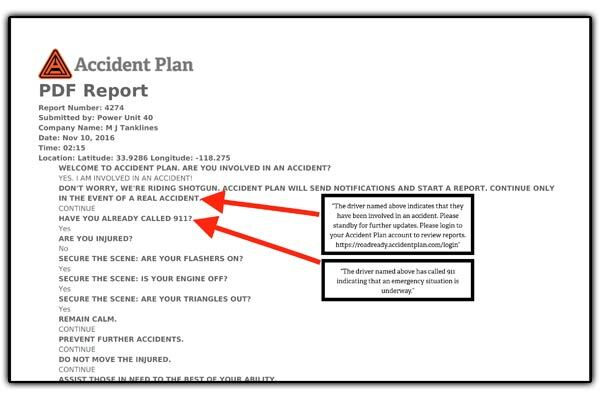 Data elements collected are based on the Model Minimum Uniform Crash Criteria. 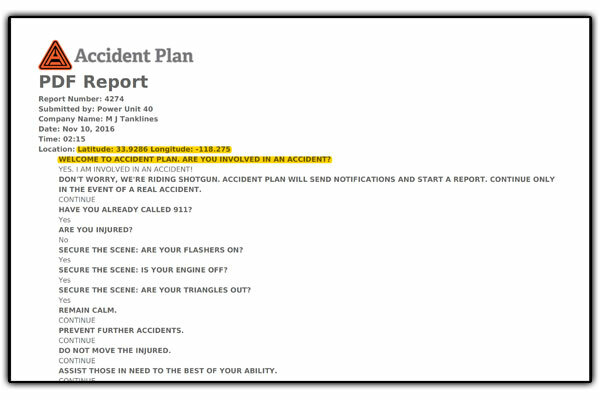 At that first notification of an accident, an administrator can log on to the customer portal and begin watching the report unfold in real-time. 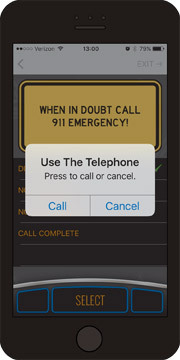 Know the status of your driver and whether emergency personnel have been contacted. A report number is created and the date, time, and GPS location is recorded. 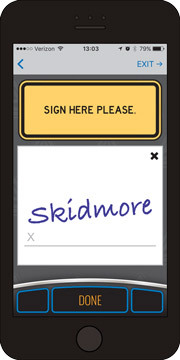 With a few clicks, you will know exactly where your driver is.